When did skin color become a per-requisite for employment? This craze for a light complexion has left many women looking like bleached whales just so they could measure up. Funny enough, they do get the attention they crave even at the risk of cancer and its likes. So, it shouldn’t come as a surprise that the World Health Organization revealed Nigeria has the highest users of skin bleaching products in the world – nearly three-quarters of all Nigerian women? I was a victim of this craze to be light-skinned. It wasn’t intentional; it was a means to an end. My agent made me take a new set of photos which he would submit to agencies. When I saw the photos, it wasn’t me. I had been photoshopped into a white girl. I complained about it and he shrugged it off and said he wanted my photos to catch their attention. He also said if they liked my photos, I’ll be invited for castings. True to his word, I was invited for many but never heard from them again. I went from one casting to another, hoping to clinch a billboard deal to no avail. I was stunned. I now had a reasonable explanation for the rejection. So, I did what 77% of Nigerian ladies do – I decided to lighten my skin. At that moment, I discarded the idea of bleaching and gave up my modeling dreams. But the scar remained because it isn’t restricted to the modeling world. Men have been fine-tuned to believe a light complexion woman is more attractive or beautiful, music videos and movies flash painfully light-skinned women in our faces; bosses believe having a light skinned complexion woman in your organization means more patronage. But have we really sat down to think of the implication of this on our future generation? I mean, will our great grandchildren even know what being black really means? Why don’t we leave the white skin to those who really are white and those who are naturally light-skinned? This is not a personal vendetta against naturally light-skinned African girls, I’m not exactly “dark-skinned”, but I have a problem with our society pushing across the message that, being dark-skinned makes you less beautiful. Skin-bleaching is a cancer eating deep into the very fabrics of our societal values and what we represent. There is beauty in diversity. Africans rock. Let’s be black and proud. Emeh Achanga is a lawyer, journalist, blogger and writer. 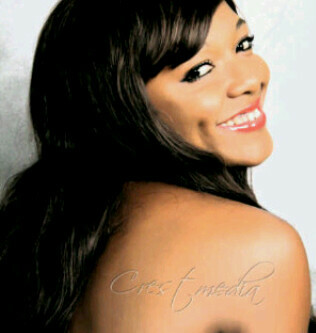 She blogs at www.misspetitenigeria.blogspot.com. She believes in the power to change the world by penning down her thoughts and sharing her experiences with others. 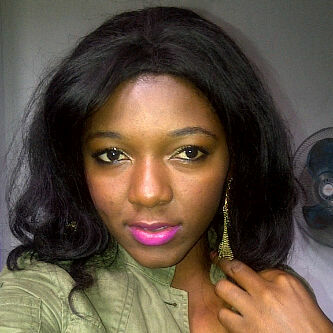 Follow her on twitter @misspetitenaija. I'm BBB. Black, Bold and Beautiful and I'm proud of it. They ever take and accepted me as I am or have nothing at all. Emeh I'm proud of you. Really wish I could hug u now. Nice article but we cant ignore the fact that bleaching is a psychological thing.Its also caused by insecurity.If a lady is confident about her looks,not even a job or career can make her think otherwise. African rocks, let's be black and beautiful! Good words but are the girls ready to remain black when most organizations don't even want dark skinned girls? There's a great degeneration in our culture! We complain about whites and then jump into bed with them trying to emulate them! Respect starts at home and nothing in the world should want us to change to be 'fake' images of someone else! "I'll say it loud I'm black and I'm proud!" Im so happy to read this article.Skin bleaching is a really disturbing occurrence in Nigeria and the perception of pple towards darker girls aint helping. There are only a few Genevieve's Annie Macaulay's who have decided to stick to their original skin color. To be in a nollywood movie,if you aint as bleached as the sun,u wont be given a second glance. We are our biggest enemies. The trend has gotten worse.. Our society is the culprit " light skinned ladies apply " ? Outrageous. Why are most African women either toning or bleaching if they believe confidently that black women are beautiful?